Spock is on the edge of technology. Even with beaming transport technology, some people are still behind the times. But… But.. It makes the cool brrrribt sound! Ha, ha! Yeah, it all seemed so cool and futuristic at the time. I hear they’re coming back! Yeah, why not just carry a beeper? Ha ha! 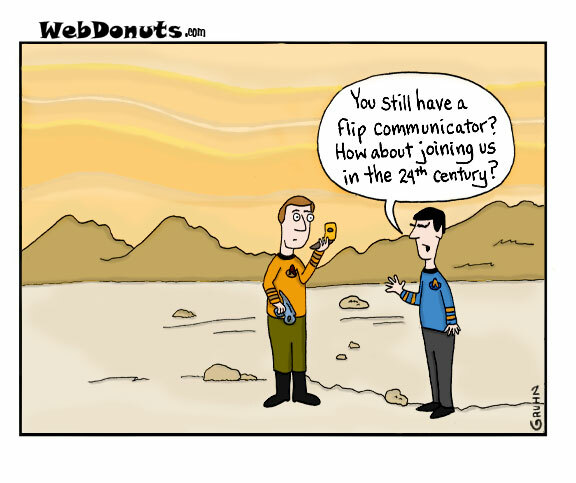 Like they would have EVER had flip communicators! Mind you, there are cell phones that look like ’em!